So far, among the versions of Windows, the latest released Windows 8.1 & 8 has some good security features against system virus. With growing exposure to the internet & download facilities, and the constant need to clean up the system, it becomes a tedious task to choose the best antivirus software with Multi-layer threat protection to keep the system safe and secure. Of all the anti-virus products launched around the world, there are few best ones that have not had any issues since like Bit Defender antivirus plus, Avast, Microsoft Security Essentials, AVG, Kaspersky, Norton, etc. Let’s discuss some key details of these grand free antivirus for Windows 8.1 & 8 versions through this post. While choosing an antivirus program, there are few points to keep in mind for making a perfect choice. The antivirus should be able to protect PC throughout its usage. 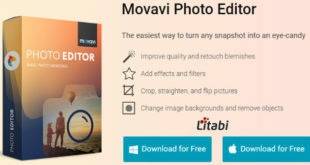 It should be able to discover and repair the damaged or corrupted files. Most important features to look for in an antivirus software are performance, help and support. This can be known by reading through the information provided regarding performance tests in their labs and the level of help and support provided by the antivirus. Based on the reviews through user experience, the list of the best free antivirus for Windows 8.1 and 8 has been made. (The order of list may not signify the order of popularity). Bitdefender is a unique and preferred antivirus by most users of Windows 8.1 & 8 as it is specifically designed for the Windows 8 OS. It helps in repairing the infected files instead of deleting them. It also provides protection on social networks like Facebook and Twitter. Several online transactions can be carried out safely and thus you don’t need to worry about your online banking transactions and web shopping. Bit defender has been recognized for its important function in detecting harmful malware or websites and ID theft etc. Besides, there have been several other amazing features like emergency rescue mode, enhanced parental controls, automatic modes and autopilot have made it the best free antivirus for Windows 8.1 & 8 users across the globe. AVG Antivirus is available for free and highly preferred for its easy availability. It is very simple and easy to install and use. It detects all possible threats to the system like viruses, malware, and harmful downloads before they could affect the PC. Since it has exceptional antivirus protection with automatic update feature, the users can have safe downloads and browse the internet in a safe manner. Also, they could enjoy playing the online games without any interruptions. It possesses better protection even in cloud-based platforms and thus AVG Antivirus Free is rated among the top best antiviruses for Windows users. Yes, I’ve installed AVG on my PC running Windows 8.1, and achieved good scores in Malware scans. If the uses need extra protection, they may get the premium version of AVG Antivirus program. Highly recommended due to its very simple installation procedures and use, Microsoft Security Essential is one among the top rated antivirus software products for Windows 8.1 64 bit across the world. It is user-friendly and has a great interactive interface for minimizing the time taken for the scan of viruses. It detects malware and the scan speed is the best property known. It detects virus every time the PC is exposed to the possible threats online or offline. Since it has comprehensive malware protection and automatic updates, the Windows 8.1 users can enjoy the better PC performance. Avast is one of a kind antivirus which is compatible and useful for PC and Mobile devices. It is highly user-friendly and provides protection against malware, virus, and Trojans. Some of the best-known qualities about Avast are secure shopping and banking, ability to run programs safely, and prevent hacking by blocking the hackers, and also provide security against phishing scams and other threats. I would say that the Avast Internet Security is the excellent free antivirus for Windows 8.1 version because of its easy accessible interface and smart scan feature with real-time protection. I’m sure that the Windows 8.1 users will enjoy the wide range tools offered by Avast Internet Security 2016. Windows 8.1 users may also get the Kaspersky Antivirus Software to protect their PC from Virus, Spyware, Adware and other malicious programs. They don’t need to bother about the instant messengers, key loggers and phishing websites! All kinds of dangerous Malware can be handled by this easy-to-use application that comes with good security features. Kaspersky Endpoint Security is the best Antivirus for Windows 8.1 64 bit users. It is the perfect tool for the small businesses to get world-class security, resource usage, and data loss protection. Most of these antivirus programs are available for free or in home versions. However, it is highly recommended that knowing your antivirus software before installing it on the PC would be the right step to protect your PC. 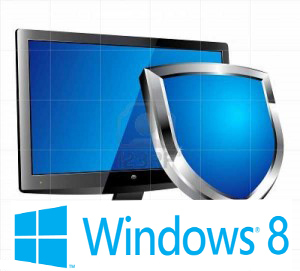 So, you have recognized some free Antivirus for Windows 8.1 & 8 versions through this post. I would advise you to protect your identity through any of the above-listed antivirus programs and ensure that your malware is detected & cleaned from endpoints. This article is written by Amit Shaw. He is the founder of Technoinsta, a tech blog. He loves to provide solution for antivirus software and recently he wrote an article on Top 7 Antivirus for Windows 8 which he invites you to read.